What do your vehicles look like? Can’t miss us! 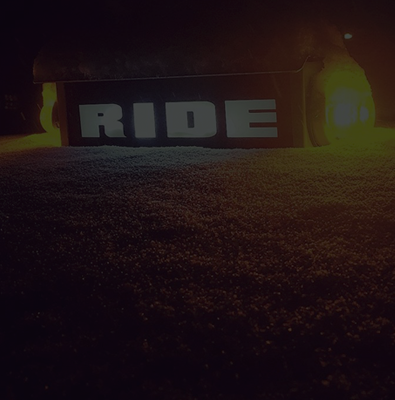 We’re the black vans with yellow writing along the side…and the old-school style taxi light lit up on top. Take a peek at a glamour shot here! Do your drivers go through background checks? 100%, absolutely, YES. All drivers go through background checks processed through the FBI and Colorado Bureau of Investigation. When you Ride with us, you can relax, and rest assured your driver is not only a local who lives right here in the Valley, but who also has passed a stringent background checks with flying colors. Do your vans go through inspections? Again, 100%, absolutely, YES. Our vehicles are inspected prior to every single shift, and go through PUC-regularly-required vehicle inspection checks completed by a licensed service provider. Additionally, all vehicles are outfitted with brand-new studded snow tires at the top of each winter season, as an additional layer of protection against inclement weather and icy mountain roads. Is this a regulated transportation company? Yes. 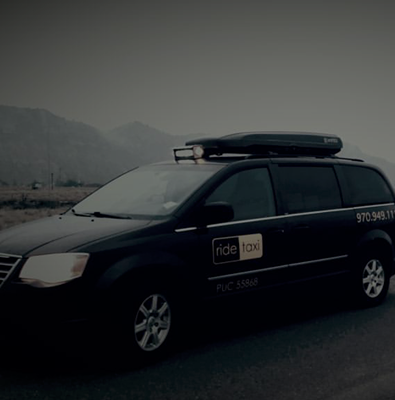 Ride Taxi is a taxi service overseen by the Colorado Public Utilities Commission (PUC), operating under Authority #55868. Because we are governed by the PUC, we must adhere to strict standards, including frequent vehicle inspections; driver background checks through the FBI and Colorado Bureau of Investigation; and many other requirements. What are your rates? And do your rates ever change / surge? As a PUC-regulated taxi company, our rates are set at a consistent rate per mile, and we never, ever have surge pricing. This means day or night; holiday weekend or regular ole’ Monday; post-bar crawl or post-ski day; we charge the same amount per mile. Currently, our rates are $3.50 per mile, and $3.45 for the first 1/10th of a mile. 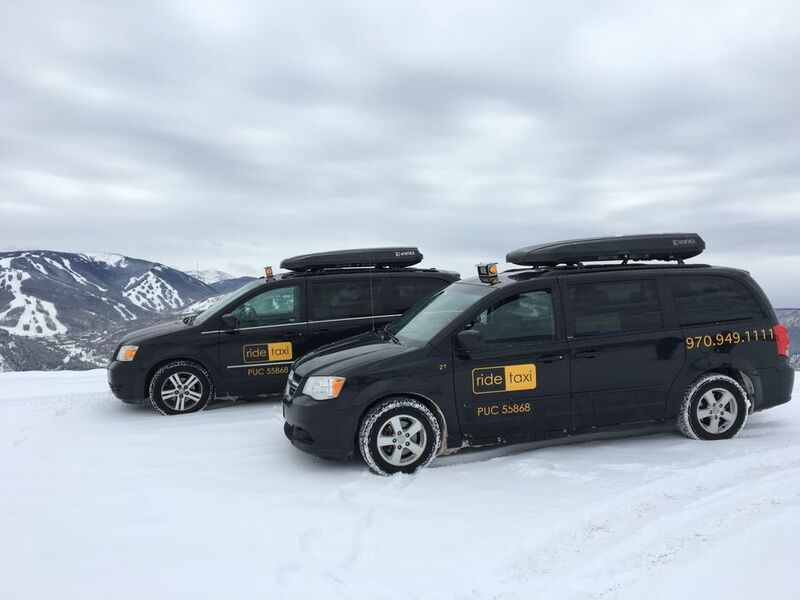 We are proud to be the most affordable taxi in the Vail Valley, and strive to be the most reliable on-call and on-demand service, to boot! Can I make advance reservations AND/OR call last-minute? Yes, and yes! Whether you are planning ahead for a pick-up or drop-off at the airport; having ride taxi serve as your group’s “designated driver” to and from a dinner reservation; or need a ride rightthissecond; we’ve got you covered 24/7/365! We also welcome advance reservations, at no charge. To book a ride right now, or to schedule a pick-up in advance, mosey over here! 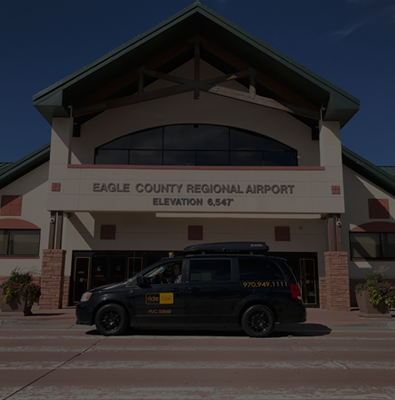 I’m flying in and out of the Eagle County Regional Airport (EGE) – can you pick me up and drop me off? That’s a big Y-E-S! Ride Taxi loves EGE, and is credentialed to drop off and pick up passengers at the airport year-round. Though we recommend making advance round-trop reservations with us (because: vacation! And checking “transportation” off the list), you may also call upon arrival at EGE, and we’ll gladly pick you up in style. *Fun fact: we are often less expensive than a shuttle service, when traveling with 2+ people! 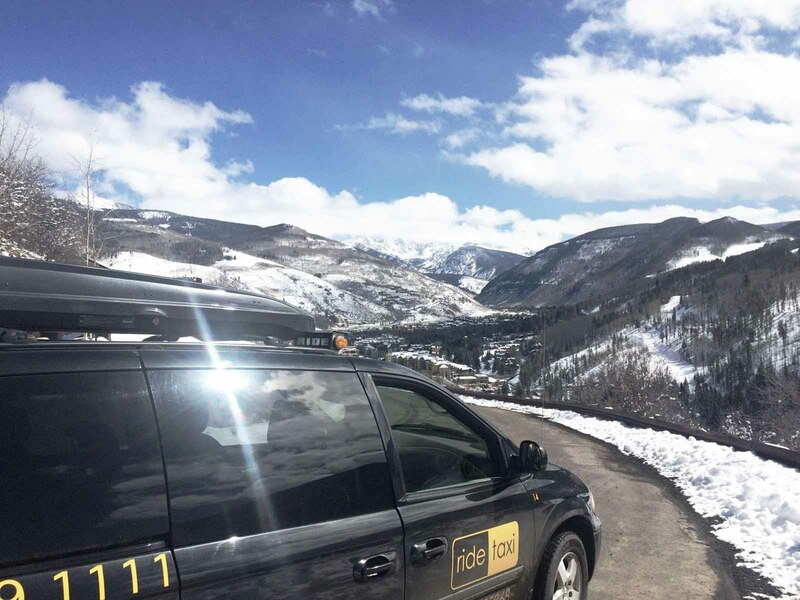 And we’ll get you from Point A to Point B in your own, private van with no stops in-between…so you can spend less time driving, and more time enjoying your stay in the gorgeous Vail Valley! What types of payment do you accept? Can I pay in advance? Cash, credit, or advance payment welcomed! Each of our vehicles is equipped to process all major credit cards, or you can always pay with your dolla’ dolla’ bills at the close of your fare. Also, you may certainly pay for transportation in advance (for yourself, or for a lucky loved one)…please just give us a call at 970-949-1111, and our dispatcher will securely process your credit card information. We also can set up billing accounts for customers and groups, should you have larger-scale transportation needs. Do you do deliveries? Or offer courier services? Oh, yeah! Feeling famished after a day on the slopes, but don’t want to leave the warmth of your cozy condo (‘cause baby, it’s cold outside)? Ride Taxi is happy to pick up your take-out food and bring it right to your door! Or perhaps found that although you made your flight connection, your bags did not? Fret not! We’ll gladly collect your luggage and deliver it to your location any hour of the day. In pursuit of some gold stars, and looking to send your significant other flowers at work (hint hint)? We’ll be your delivery driver! Any other pick-up / delivery request in mind? Just ask. Do you work with weddings, corporate groups, and events? Large parties are our JAM! We have worked with groups ranging from double digits to triple digits, and like to think of ourselves as Transportation Logistics Whisperers. Let us take this planning piece off of your plate, and give you peace of mind during your big event. Our clean, sleek, comfortable vans will transport you and your guests and style, and we are accustomed to adapting to any changes that (inevitably) occur throughout any organized event. 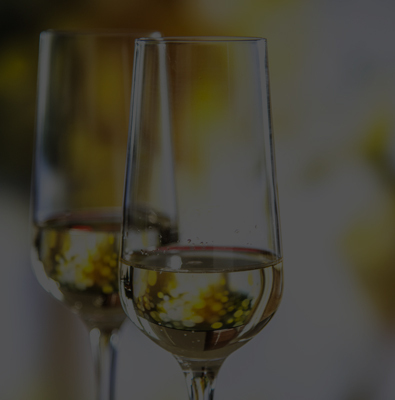 For more information about weddings and special events, head over here, or drop us a line here. We can't wait to work with you!